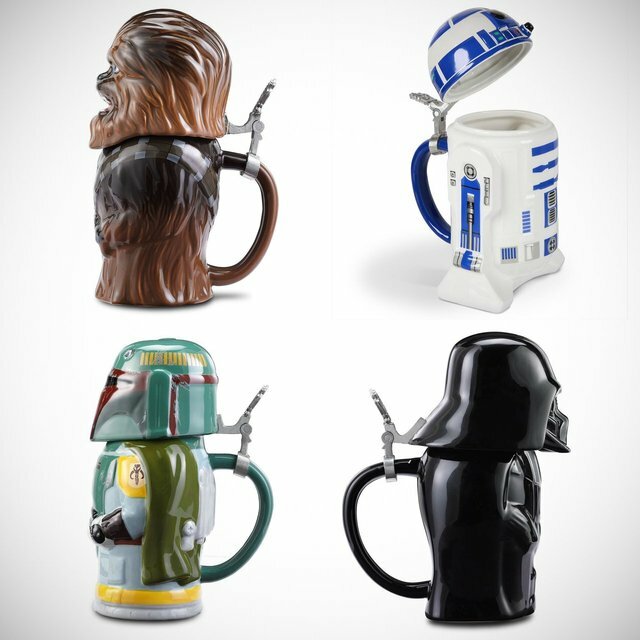 These are the steins that impart intergalactic intrepidity to one’s imbibing. 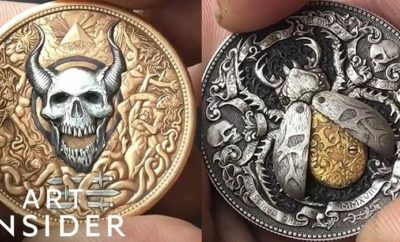 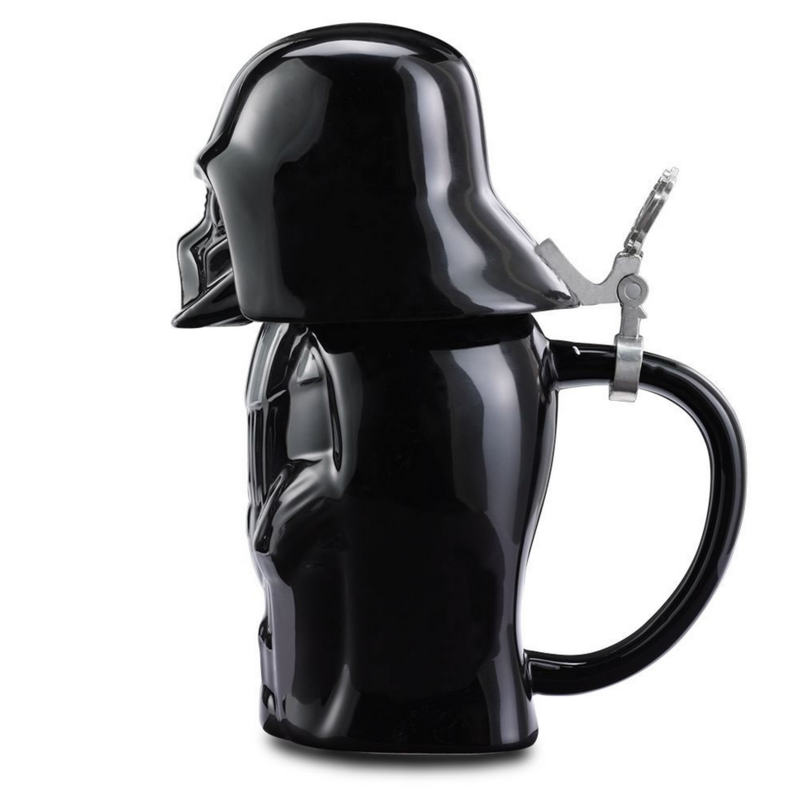 Made from high-quality ceramic and topped with hinged pewter lids, each 22-oz. 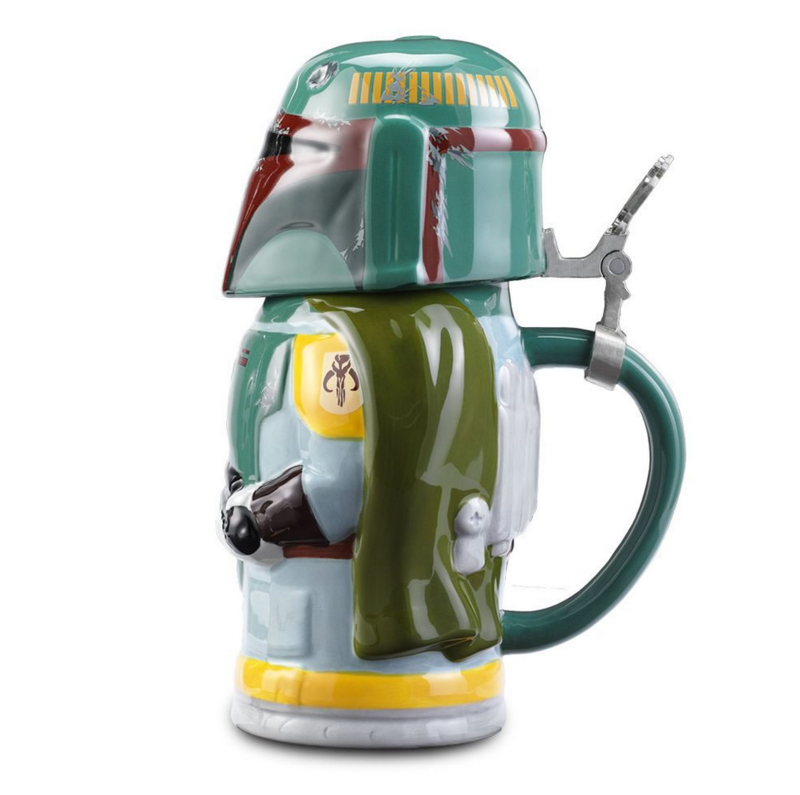 stein is shaped in the likeness of one of four characters from the iconic Star Wars movie series. 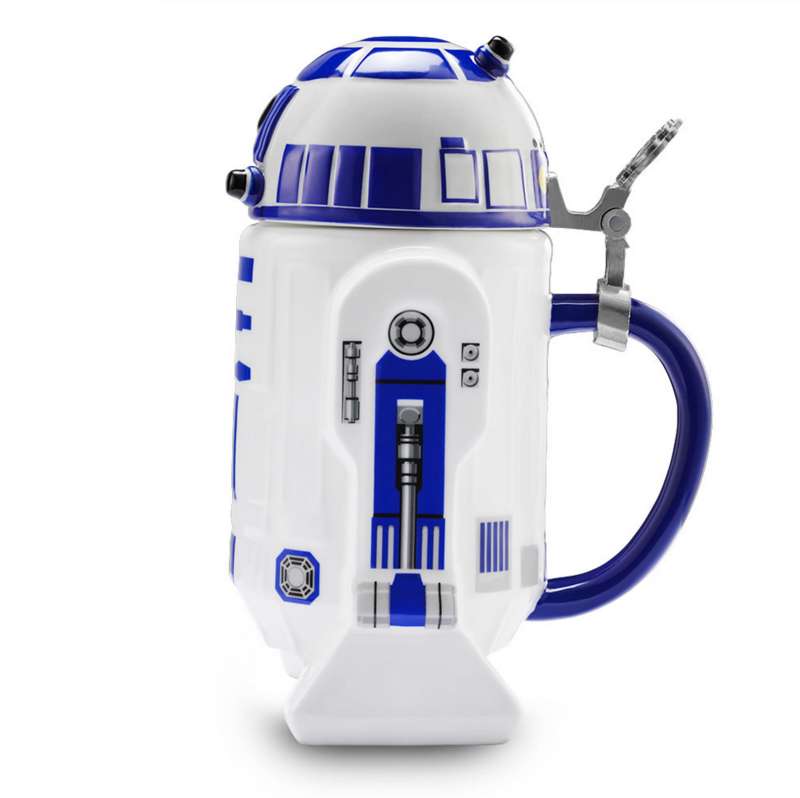 No stranger to serving drinks, R2-D2 keeps drinks on stable footing with his two flat feet while Darth Vader’s helmet opens to accept even the darkest of stouts. 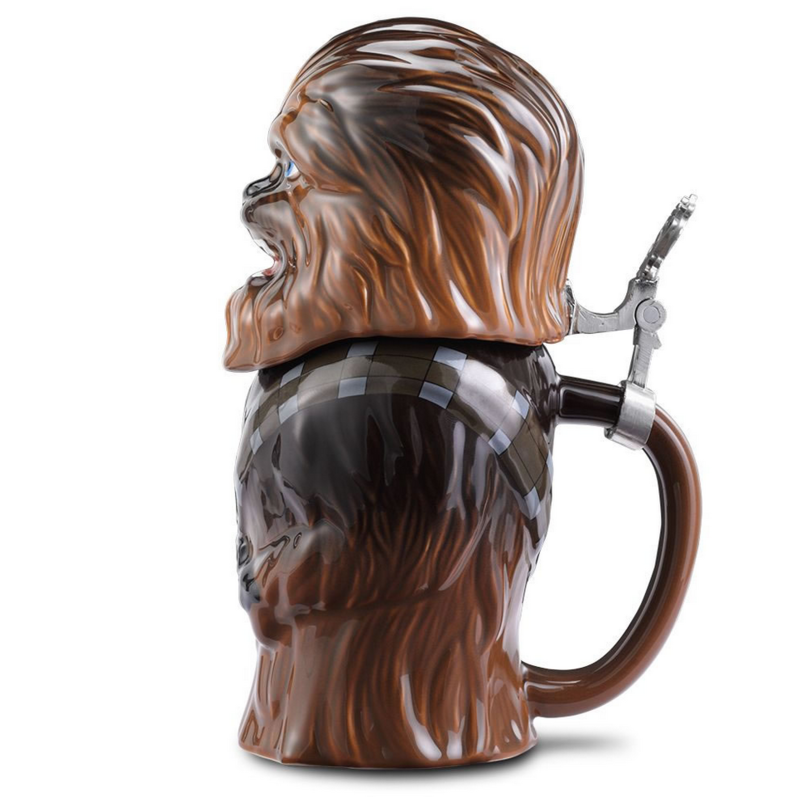 Chewbacca’s massive body cavity takes on Kashyyyk ale without a growl while Boba Fett’s weathered, dinged body armor suggests this bounty hunter could use a cold one.